28 November 2017 – Best representation of true Italian heritage, exceptional value and superiority in its crowd are only a few of the reasons why the Alfa Romeo Giulia was named the 2018 Car of the Year by the editors of Motor Trend. There were 26 models evaluated with 46 variants and of these the Guilia came out tops. Reid Bigland, Head of Alfa Romeo said that: "The Motor Trend Car of the Year award acknowledges all of the hard work, dedication and passion that went into developing the entire Giulia line-up - including our record-breaking Giulia Quadrifoglio - which revolutionizes the segment and pays tribute to our storied heritage and racing pedigree." Bigland continued by saying that: "We are honored to be the first Italian brand to ever receive this prestigious award and we're excited for the future of Alfa Romeo here in North America and abroad." The Car of the Year program is open to any all-new or substantially upgraded 2017 model year vehicles and vehicles are not competing against each other but rather put through a range of performance tests to measure limit handling, braking and acceleration. Contenders are then evaluated against six key criteria which are: design advancements, engineering excellence, safety, efficiency, value and performance of function. The vehicles are then evaluated on three separate automotive test centre courses and the finalists are selected. There were eight finalists including the Alfa Romeo Guilia. The 2017 Alfa Romeo Giulia best embodies the six criteria out of all the contenders. 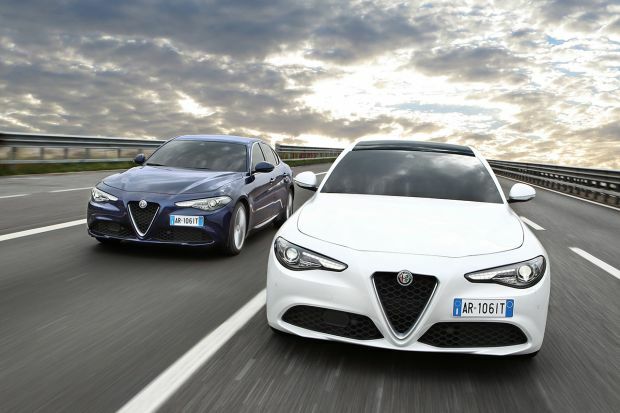 Ed Loh, Motor Trend Editor-in-Chief said: "Motor Trend's judges agreed that the Alfa Romeo Giulia is the new ultimate driving machine" and that "Alfa Romeo developed a car that is perhaps the finest handling sedan on the market." New features on the Alfa Romeo Giulia include an all-aluminium, 2.0-liter, direct-injection turbo engine with an eight-speed automatic transmission with standard 280 horsepower along with 306 lb.-ft of torque which allows it to go from 0-60 mph in 5.1 seconds and achieve a top speed of 149 mph.